"Why is a Wisconsin bicycle organization hosting a ride in Florida?" ​Over the years many riders have suggested we organize a ride during Winter to keep the fun going all year round. After thoughtfully ruling out Wisconsin, we turned our attention to Florida and the Florida Keys Bike ride was born! "What airport can I fly into?" 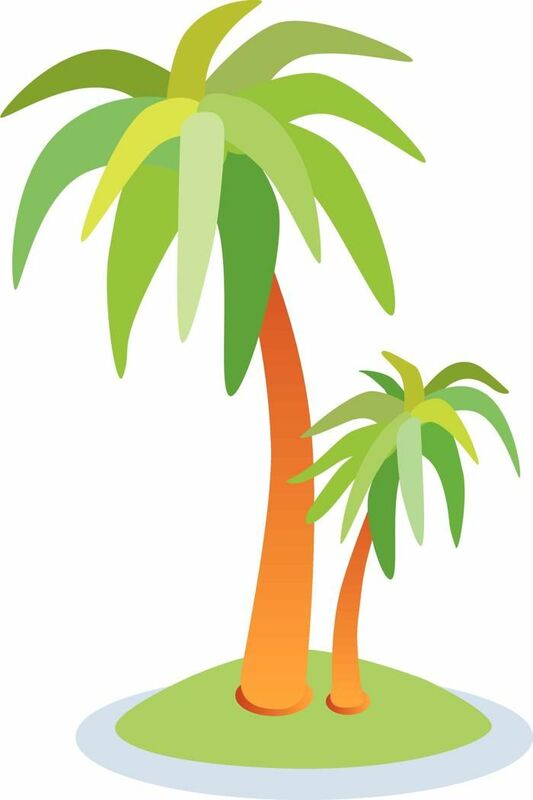 Miami International Airport (MIA) or Ft. Lauderdale International Airport (FLL) are both very close to Key Largo. "What is the weather like during the 2nd week in December in the Keys?" Average high temperature is 76 degrees! One can expect weather between 72-82 degrees. 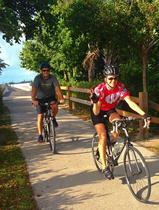 Florida Keys Bike Ride by Pedal Across Wisconsin--great hotels, fantastic scenery! ​"What states do your riders come from?" All over! Most of our rides have at least 18 states represented, plus Canada. Our rides have given bikers opportunity to meet friends and make new ones. There have even been 5 couples who eventually married that met their spouse on PAW trips. "How do I get from the airport to Key Largo?" We recommend the Keys Shuttle. 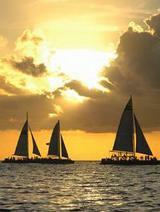 They will pick you up and deliver to Hampton Inn Key Largo. *They do not deliver bicycles. 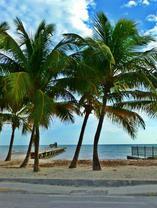 Keys Shuttle picks up from both Ft. Lauderdale & Miami Airports.